The Kruger National Park is one of Africa’s top tourist destinations, with tourists from all over the world flocking to see the sites by attending Kruger National Park safari tours. Although many people may opt to explore the Kruger National Park on their own schedule, it is a very popular and worthwhile idea to book a Kruger National Park tour, which can easily be organized by either booking directly through the Kruger Park itself, or using an external source such as Airport Shuttle SA. Airport Shuttle SA offers half day, full day and long stay tours to many tourist destinations including Kruger National Park tours. One of the reasons for which Kruger Park tours and Kruger Park safari tours are so popular, is that they allow one to see all the sites of the Kruger Park in a safe and controlled way, and usually involve cost effective packages which include flights and transfers from the airport. 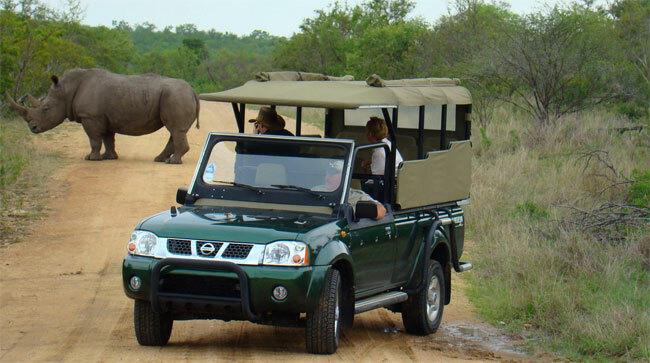 The Kruger Park offer a variety of Kruger tours, which include 3 or 4 day Kruger Park Safaris, private family Kruger safari tours, and full day safari excursions. Kruger Park tours include flights and the services of a professional guide, who will take care of all the driving and cooking, leaving you free to relax and experience the wildlife at its best. If you want to take a Kruger National Park tour from Johannesburg, packages can include return flights / road transfers between Johannesburg and the camp, as well as return flights. For example, Kruger Park offers a 3 day Classic Kruger Safari package. This exciting holiday package includes Standard Rest Camp accommodation in Kruger National Park, game drives in an open 4 x 4 safari vehicle, and a qualified and experienced English speaking guide. You will be met at the airport by your professional guide for the trip, who will impress you and make you feel safe with his knowledge and expertise about wildlife and the Kruger Park. The package also includes meals. Tours to Kruger National Park from Johannesburg are extremely popular, with beautiful and peaceful accommodation. All you need to do is sit back and enjoy the Kruger Park safari with your friends and family!